Enriched with rose water, the Rose Shower Gel deliciously melts onto the skin, to gently cleanse as it envelops you in an elegant rose scent. Skin is left delicately perfumed with a velvety, floral fragrance that combines extracts of roses from Grasse, Bulgaria, Morocco and Turkey with a unique rose extract from Haute-Provence. The Rose collection uses rose extract derived through enfleurage, a traditional process made innovative by the L’OCCITANE research team. 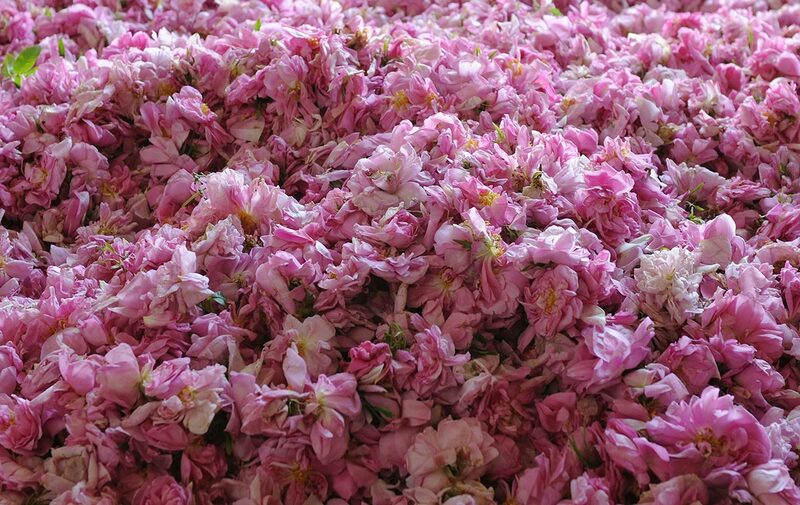 The freshest of rose petals are steeped in oil, allowing it to become saturated with the natural fragrance of the rose, resulting in a fruitier scent. Pair with the Rose Body Milk to moisturize the skin. Lather up generously on wet skin, then rinse. Use the Rose Body Milk afterwards to moisturize the skin. Aqua/Water - Sodium Laureth Sulfate - Cocamidopropyl Betaine - Coco-Glucoside - PEG-7 Glyceryl Cocoate - PEG-40 Hydrogenated Castor Oil - Parfum/Fragrance - Rosa Centifolia Flower Water - Rosa Damascena Extract - Rosa Centifolia Flower Extract - Rosa Damascena Flower Oil - Helianthus Annuus(Sunflower)Seed Oil - Sodium Benzoate - Ethylhexyl Methoxycinnamate - Ethylhexyl Salicylate - Butyl Methoxydibenzoylmethane - PEG-120 Methyl Glucose Trioleate - Laureth-2 - Propanediol - Polyquaternium-7 - Tocopherol - Citronellol - Benzyl Salicylate - Alpha Isomethyl Ionone - Geraniol - Linalool - Eugenol - CI 17200/Red 33 - CI 19140/Yellow 5.